Amax International Holdings’ profits have been hit heavily amid a 500% revenue uptick. The losses have been occasioned by raising expenses related to loss on settlement of promissory notes from earlier this year. Hong Kong-based gaming operator Amax International Holdings has registered two interesting trends over the last financial half-year concluded on September 30, 2018. The company reported that losses had grown to 54.7% over the six months leading to the announcement with revenue reaching the impressive 493.3%. The surge in revenue was occasioned by the roll-out of VIP offer in Cambodia whereas the slump in profit came as a direct result of the “settlement of promissory notes” dating back to July 2018. The company also specified that it has experienced administrative overhead related to the opening of the new casino room in Cambodia. The Greek Mythology casino where Amax is a shareholder. While Amax has been incurring costs, the company has not been slow to embrace innovation either. Amax is now leading a push into the virtual reality (VR) and augmented reality (AG) segment, Macau Business reported in August. Despite the mixed financial results, Amax feels confident that the operations are finally shaping up positively, following turbulent few past years. One of the most promising investments of the company was cited as the development of the Cambodian VIP segment, which also pushed up costs. The VIP segment has paid off, though. In terms of revenue, Cambodia brought HK$62.3 million, a nearly five-fold increase compared to the numbers reported a year ago. Amax introduced 13 VIP baccarat tables in Genting Crown Casino in Poipet, which have so far paid off handsomely. The segment has been proving profitable well beyond Cambodia, too. While Amax estimated that it would need time to catch up to the administrative costs associated with the opening of new segments, the company estimates that its investment for the launch of a new offer for casinos in Sihanoukville, Cambodia are yet to pay off. Amax will provide pre-opening services to future project and Amax expects to generate HK$ 9 million by 31 March 2019. 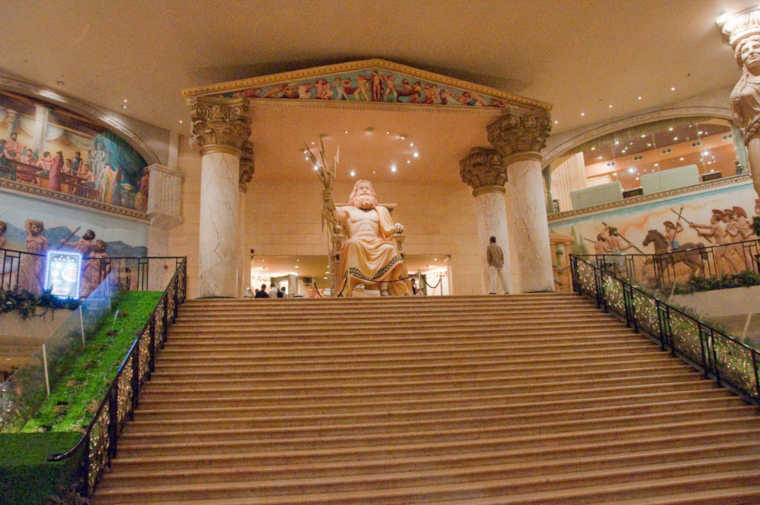 The company is currently undergoing a legal battle with Greek Mythology Entertainment Group Corporation, which was in charge of the now defunct Greek Mythology casino located at the Beijing Imperial Palace Hotel in Macau. Amax owns almost 1/4 of the property, but is currently trying to gain access to the financial records of the group. Amax has had no access to the financial records of Greek Mythology since 2012 well through the point when the casino was shut down three years after in 2015. Despite the few unfortunate turns of events in the history of Amax, however, the company is finally seeing a change in its fortune as the official filling submitted to the Hong Kong Stock Exchange revealed on Friday.